Can you PGD previously frozen embryos from a past IVF cycle? We get this question emailed to us a lot- We have X number of frozen embryos (from our fresh IVF cycle in 20XX) they are 5 day old blasts(or 3 day old blasts). We have a boy and are expecting our second boy this November. Thinking ahead we are wondering if we could do PGD testing on any of our frozen embryos to see if there is a girl in there or not. Many infertility patients have soldiered through cycles and acheived their dreams of having a child or two and still have frozen embryos available. It’s difficult to find the actual number of embryos currently on ice in the United States but various sources have reported 500,000 to over 1 million embryos that are frozen today. 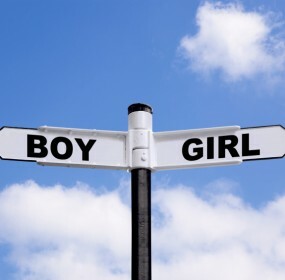 If you have frozen embryos and a family of same gendered children or an unbalance and you have dreams of achieving some balance, the science is there and you can have your embryos thawed and biopsied to test for gender along with all other chromosomes as well. Embryos frozen on day 3 or day 5 can be biopsied and not have to be refrozen before transfer based on the PGD method used. We have all of the details within our forum and we hope you will join us to find out more information and find a clinic near you! We can even help you book a consult with a doctor that can help you!